Actor James Gandolfini, a New Jersey native and former club bouncer who rose to stardom for his portrayal of mob boss Tony Soprano on HBO’s The Sopranos, died June 19, 2013 while vacationing with his family in Rome, Italy. He was 51. 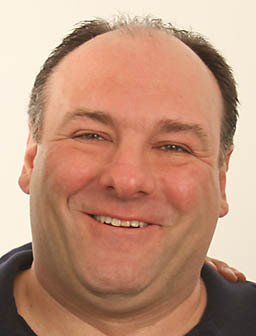 Gandolfini won three Emmy Awards in six seasons for the role of Tony Soprano, the charismatic but insecure and emotionally unstable head of a fictional mafia crime family. New Jersey Gov. Chris Christie — whom Arizona Sen. John McCain’s daughter, Meghan McCain, likes to call “Tony Soprano” — called Gandolfini a New Jersey treasure. “I was a huge fan of his and the character he played so authentically, Tony Soprano,” said the 2016 presidential hopeful. Gandolfini will always be inextricably linked to Tony Soprano, but I enjoyed his performances in several movies as much if not more than his Sopranos role — in particular, Fallen, All the King’s Men and The Last Castle. I’ve also been looking forward to seeing his turn as Defense Secretary Leon Panetta in Zero Dark Thirty, but I haven’t had a chance to watch it yet. James Joseph “Jimmy” Gandolfini, Jr. was born Sept. 18, 1961 in Westwood, N.J., to parents of Italian ancestry. His mother, Santa, was a high school cafeteria worker and his father, James Sr., a mason and bricklayer turned high school janitor. His father was an Italian native while his mother was born in the United States before moving to Naples as a child.